As you all know, last month was Breast Cancer awareness month - During October people run to stores to purchase "pink" products, to show their support for the cure for breast cancer. Well just because it isn't October, it doesn't mean we have to stop showing our support! And Penny Wise can help you - Because they sell over 50 Pink Ribbon Products! A lot of us use office supplies ever single day; So there's no better way to show your support. I received a selection of 4 amazing pink ribbon items. This stapler was amazing! Really cute, and unique - But still very effective! This stapler, staples up to 20 sheets at a time. And another favorite aspect is that the stapler can stand horizontally, or vertically, for maximum space saving! And the very best part? 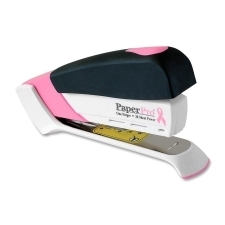 $1.00 of the sale of the stapler goes toward CancerCare. I actually didn't get a chance to check out this next amazing product; But my mom did! My mom works as a Post Woman, and she is constantly having to mark things, and edit them at work; So I gave her the correction tape, and she said it worked like a charm! The corrections were marked perfectly - You could really even tell there was anything applied. 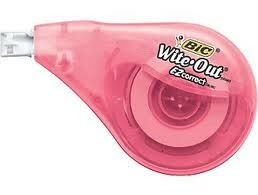 The best part is, this rolls on, so you don't have to worry about a mess; Or spilling anything. Next was the stylish "Bic ReAction Mechanical Pencils"
There were several things I loved about these pencils. 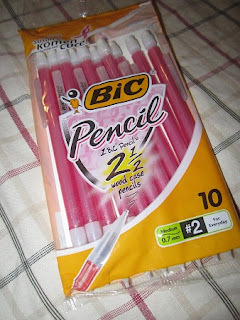 The first thing was the smoothness when writing with them - These pencils literally just glide across the paper! Another thing that I love is that these pencils don't just come with a free tube of replaceable lead, but they also come with a replaceable tube of erasers. I can't count how many time's I've had to throw out a pencil because the eraser was so used. 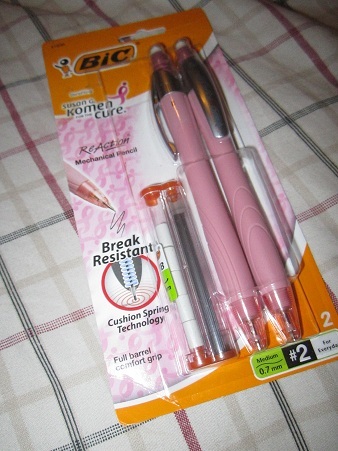 These mechanical pencils also have "Cushion Spring Technology." So you experience the utmost comfort while using them! And finally, The Bic Shimmer Pencils. The Shimmer Pencils are great! They do everything you'd expect them too; And they are really stylish! The pink has a pretty sparkle too it that is just beautiful. 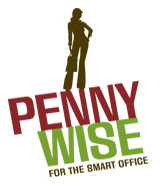 Overall, I loved my product selection from Penny Wise. The products are of the highest quality, they look stylish, and they support a great cause! Show your support, and shop Penny Wise's Pink Ribbon selection. 1 of you will receive a selection or products (similar to the ones that I received) from Penny Wise! Entry is super easy with the Rafflecopter form, directly below. Disclosure: Review product was provided to me free of charge. All opinions expressed are my own, and were not influenced in any way. Facebook is in no way involved. This giveaway ends November 27th, 2011 at 11:59 pm. Winner is drawn via Random.org, and will have 48 hours to respond to my email, before a new winner is drawn. 1 Entry per person.